This introductory workshop is for anyone who wants to learn why kettlebells are considered one of the most effective training tools and how to master the basic kettlebell lifts. This workshop is also perfect for anyone who has tried kettlebells but has not had any formal coaching. 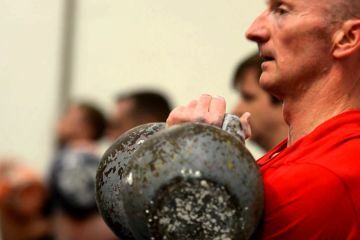 Kettlebells are SIMPLE. But they are not EASY. This is an opportunity to learn how to SAFELY and EFFECTIVELY lay the foundations for a lifetimes healthy lifting. Kettlebell Basics will provide the tools needed to effectively begin your Kettlebell practice, with a focus on safety and solid fundamentals that take the guess work out of Kettlebell training.